Confession. I’m actually the let’s-just-chill-at-home and the very unromantic one in the relationship. We met for the first time (and sorta had our first date) on Valentines’ Day many, many years ago! We’re not huge hallmark celebrators, but this year he organised a low key dinner at Nu’s Restaurant. 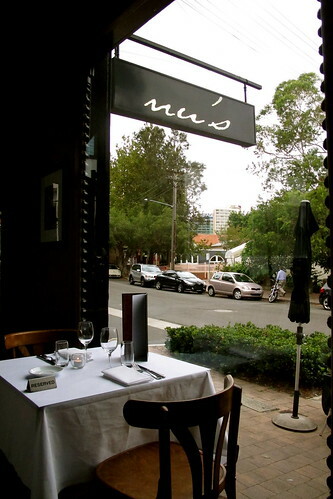 Nu’s is a little corner restaurant on an amazing street that smells of food as you stroll along it, gorgeous terraces and views of the tips of the harbour. 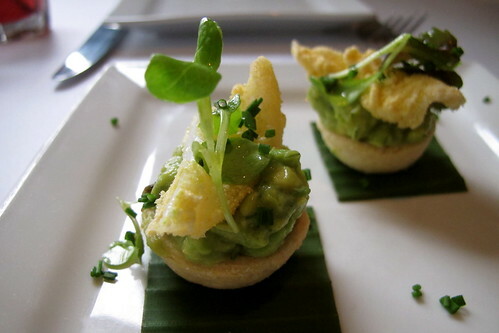 To wet our appetites is a double dose of entree; a perfect bite size of mouthful of cold avocado paste topped with a crisp squid, and shame it was only a mouthful worth… The other entree was a betal leaf packed with shredded pork belly, herbs topped with a sweet quail egg. 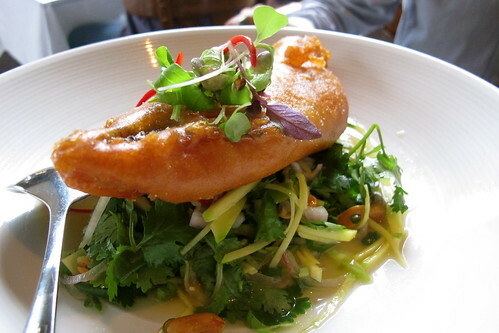 For mains, we shared a Singha beer battered barramundi with an amazing crispy crust sitting on a bed of green mango, chilli, coriander and roasted peanuts. The salad was refreshing and light with a zing and a tang. 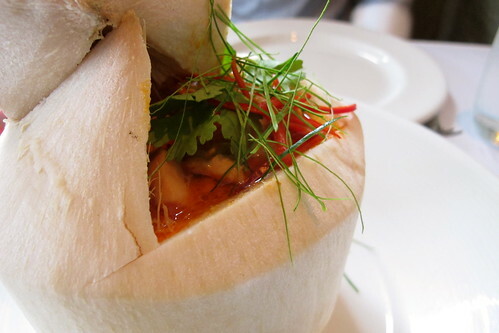 Next up was a light panang chicken curry served in a huge bottomless coconut. Super light with generous amounts of chicken pieces and just the right amount of spice (for me at least!). 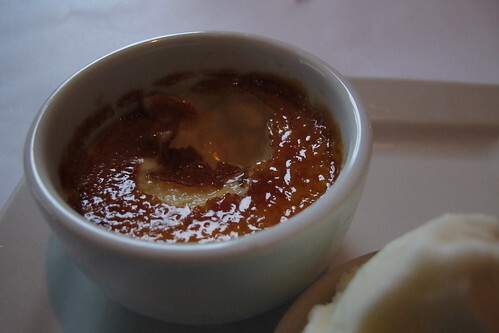 To finish, we crack the warm sugary layer of a delicious coconut creme brulee and cold coconut sorbet to satisfy our sweet tooth. 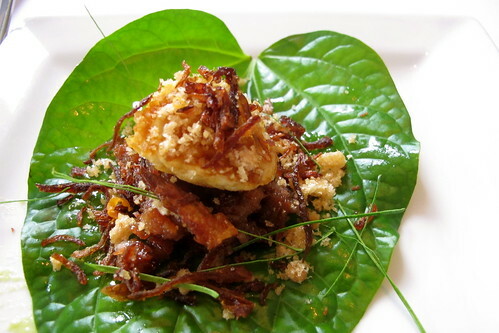 Delicious meal in a gorgeous naturally lit restaurant (which I love!!). Thank you mister.